That’s what natives of Bernkastel look like! Both of us are born and bred “Bärekessler”. We were born and raised here in Bernkastel, went to school here and started our family here as well. We both love our hometown and its rich history, the inhabitants and their little stories, those numerous anecdotes and laws, the gorgeous countryside and together with that, of course, the wine. There is rarely a guided tour in which the vineyards and wine do not play a role. No? Then you should get to know them during a guided tour. For example, through the historic city of Bernkastel, where not just one, but many “Traljen” are waiting to be discovered. So, at every corner look very closely, and listen very closely. This also applies to the ruins of the Landshut Castle in Bernkastel, the old town of Kues, the hiking trails through the vineyards of Bernkastel, and the organic fruit orchards in Wehlen, the old convent of Machern, the “art nouveau” city of Traben-Trabach, as well as Beilstein, Trier, and the Mosel, Saar and Rhine rivers. Are you planning an excursion and searching for qualified company. 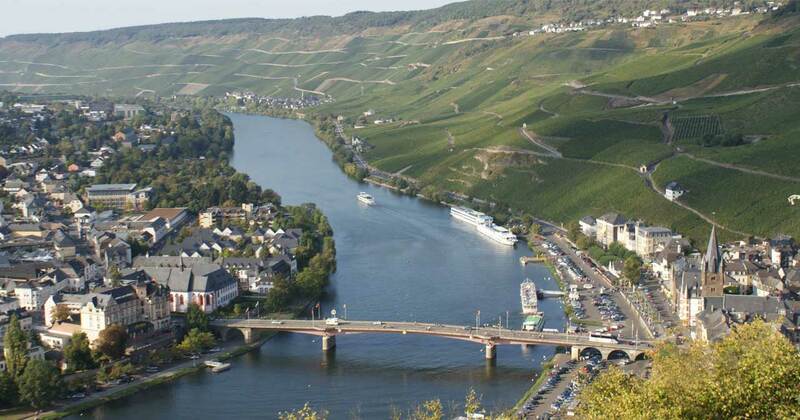 Do you want a diversified guided tour through Bernkastel? Or Kues? Do you want to go with the Night Watchman or the famous Doctor of Bernkastel? Perhaps, you are looking for a guided tour of the Ruins of the castle Landshut, with the “Lady of the castle”? Do you need “Kultur-und Weinbotschafter guiding your tours through the vineyards? No problem at all, a phone call or email will do.